Next it was our turn and we found space in the second coach of the alraedy quite full 07:40 52207 Pilibhit to Mailani passenger. 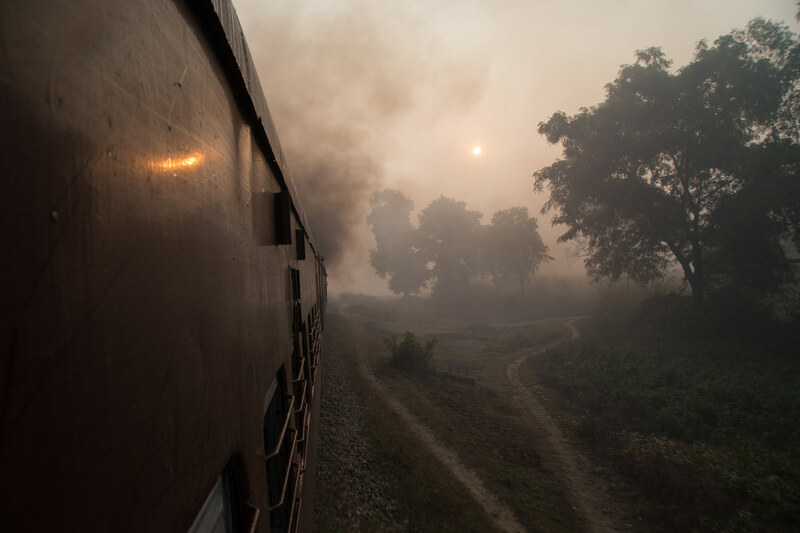 The following trip was one of my favorites of the entire Indian adventure, as we left Philibit the YDM4 roared into full power and we accelerated to speeds I had never before experienced on the metre gauge as the sun attempted to shine through the thick fog. I checked on my speed app and we exceeded 70 KMPH several times, in the past express trains had done 90 kph on this segment but there is simply not enough distance between stops for this to happen now. Regardless this was a small glimpse into the glorious past days of the metre gauge before it had been relegated to a secondary gauge good for only slow all stops locals. Despite the speed, we still halted at each and every station and there were plenty of opportunities for photos. For video of the journey click below, the pictures really don’t do it justice. 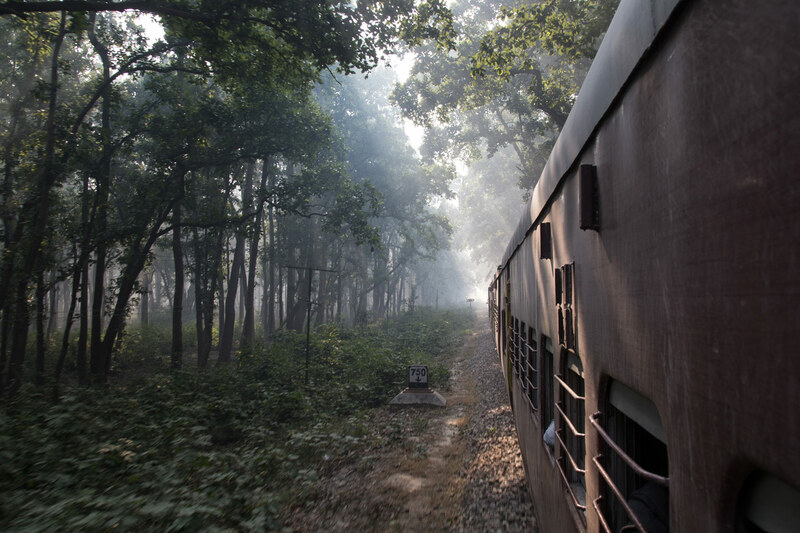 After departing Mala the line enters the Pilibhit tiger reserve and the train slowed down to a crawl incase a tiger was prowling the rails. With gauge conversion it is only inevitable that animal deaths will increase. 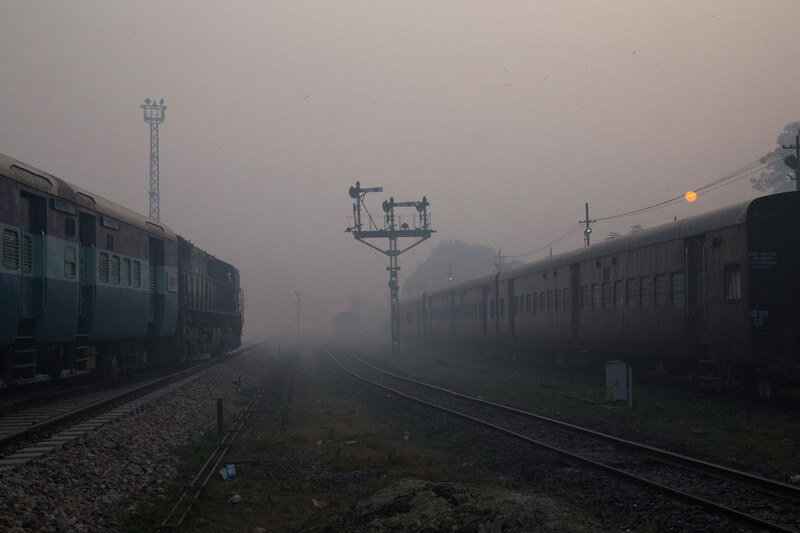 A local, who was a teacher and spoke very good english was amused/confused by me and my coleagues antics at each station struck up a conversation, and told me how people are routinely killed in this segment by tigers and having even seen tigers form the train. 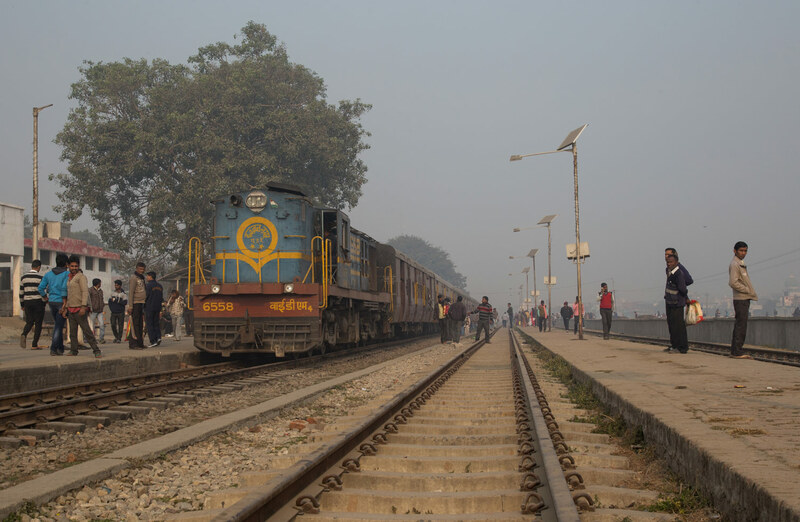 He also expressed how he was happy that the line would soon close for gauge conversion, to which I asked why as he would not have any means to get to school. 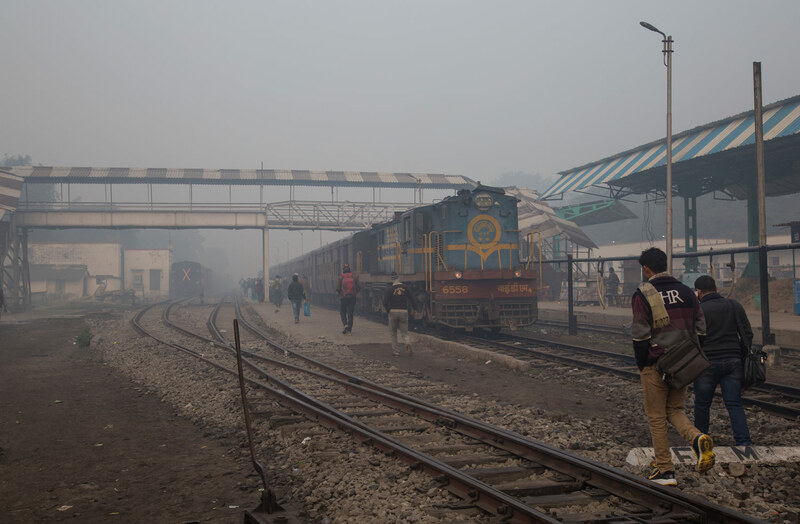 Sadly most people have falled for the railways propaganda in that one or two weekly expresses to Delhi will make up for the lack of rail service for over a year and then the reduction of local services that has accompanied gauge conversion elsewhere. At Dudiyakurd we halted and Thomas and I promptly jumped out per routine for our shots. 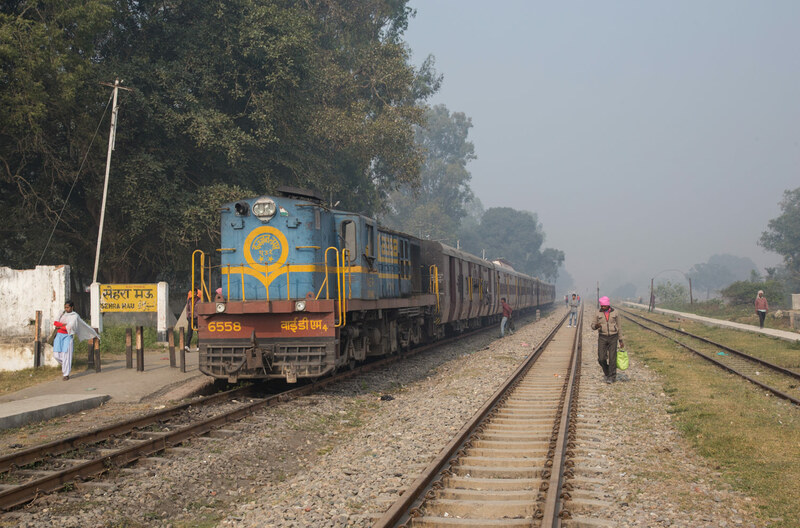 However the far signal did not light up green so it was finally time for our meet with the 52224 Mailani to Pilibhit passenger which we were supposed to cross at Mala if on schedule. 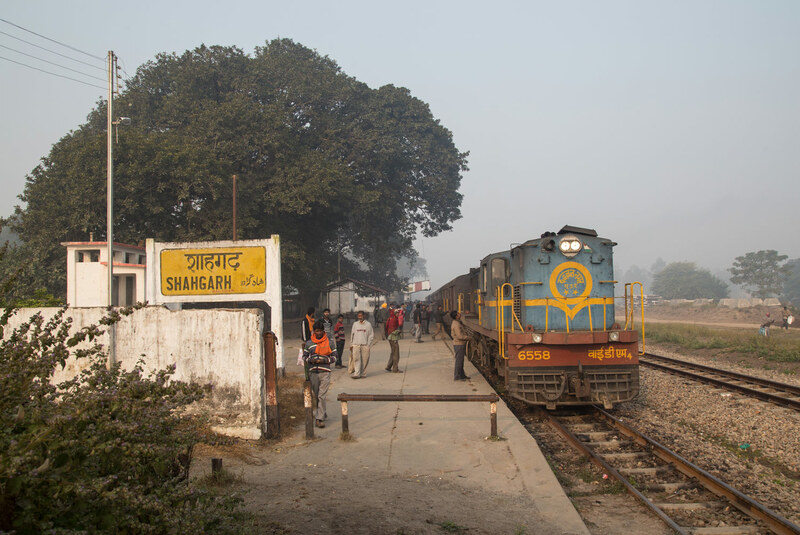 We were soon to find that schedules and crossing points were merely a suggestion on the NER due to long delays accumulated from the Bahraich to Mailani segment. 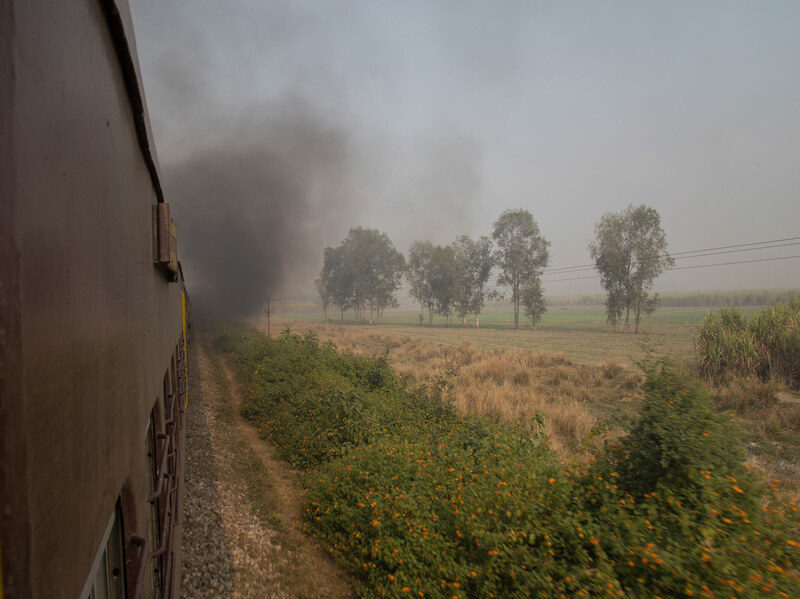 Along with us half the train got out to stretch their legs and as often happens in India we became celebrities with a large crowd watching us in amusement. Finally the westbound arrived and the typical scene of chaos ensued with passengers and food vendors crossing through and between trains and boarding from the ballast as there was no platform on the through line. 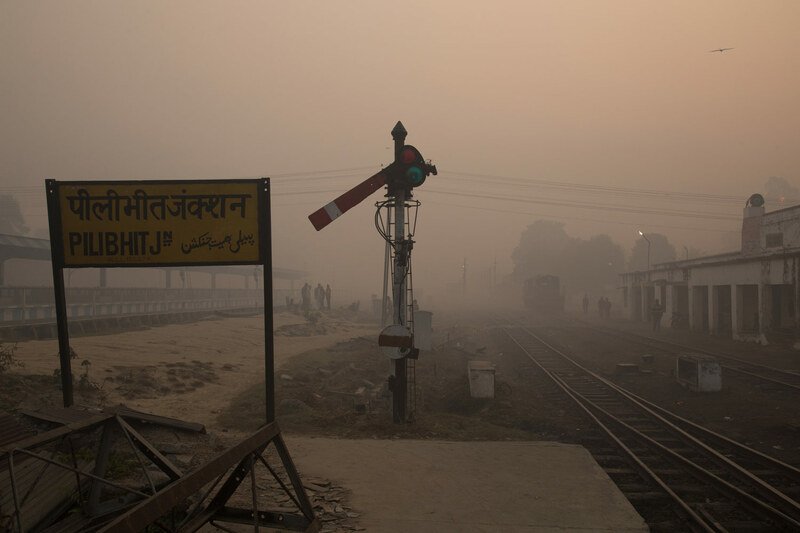 The stations for the rest of the line were all quite similar, all displaying the typical rustic charm of the metre gauge with big shade trees providing shelter in lieu of overhead canopies and low concrete platforms. The fog had burned off by this point but unfortunately the sun was still dimmed by the persistant layer of smog which was especially bad this year due to wind currents and burning of crops. As we approached Mailani the scenery went from never ending fields of Sugar cane to the dense forest as we entered the Kishanpur Wildlife sanctuary, the sun streaming through the thick tree canopy making for a very photogenic scene. 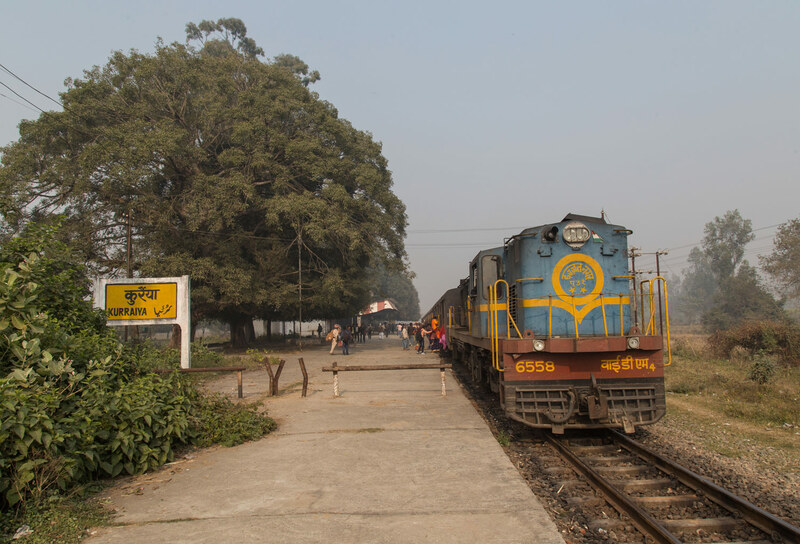 In the next segment we will arrive at Mailani Junction, what will soon become a sanctuary of sorts for the metre gauge when the Pilibhit to Mailani segment closes for gauge conversion.